A native of Europe, sometimes cultivated and spread into nearby disturbed forests. First collected by R. B. MacFarlane in 1995 in Ontonagon Co. 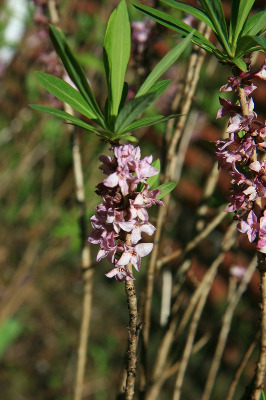 This is a distinctive small shrub with very fragrant flowers in which the floral tube ends in 4 spreading petal-like lobes. Flowers are sessile on the stems and bloom in early spring before the leaves expand. MICHIGAN FLORA ONLINE. A. A. Reznicek, E. G. Voss, & B. S. Walters. February 2011. University of Michigan. Web. 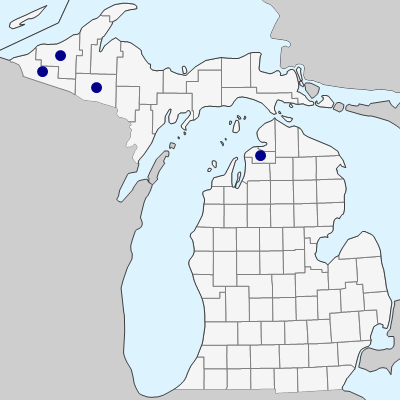 April 21, 2019. https://michiganflora.net/species.aspx?id=2726.